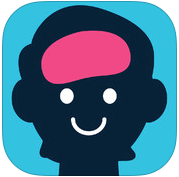 Brainbean is a nice little free iPad app designed for people of all ages that offers fun brain exercises/activities. These games range in wide variety of style such as: memory, creativity, drawing, patterns, and more. Each game lasts 60 seconds and are designed to get the brain working and spark creativity and other cognitive functions similar to Luminosity. I recommend checking out Brainbean by clicking here!! !